Lyon is the 3rd largest city in France after Paris and Marseilles. It is about 467 kms. from Paris in east central France known as the Auvergne-Rhone-Alpes region. It is the perfect destination for people who want to see interesting historical and archeological sites, and experience the local flavors in a laid-back and relaxed atmosphere. 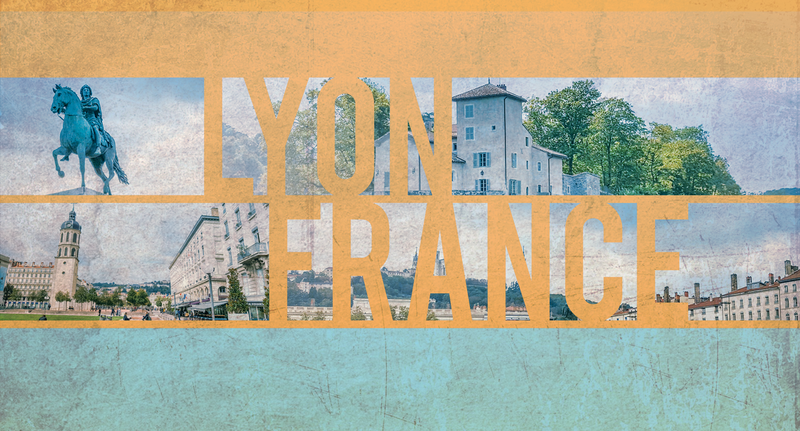 Lyon is really old—as in Roman times old—it is said that the area was first settled by a group of Roman refugees led by two of Julius Caesar’s lieutenants after he was assassinated. They settled in Fourviere hill, which overlooks the modern city of Lyon. 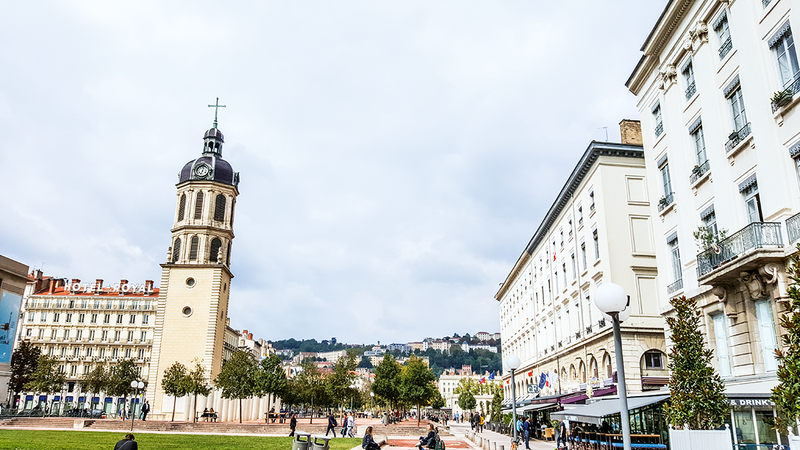 Fourviere is the oldest district of Lyon and is full of historical and archeological sites. The hill and its surrounds has ruins of Roman baths, structures, and even an amphitheater. Because of its height, two landmarks, the Basilica of Fourviere with its Golden Virgin and La Tour Metallique de Fourviere, are clearly visible from many vantage points in the city. Fourviere and the older parts of the city was declared a UNESCO World Heritage site in 1998. Lyon is sometimes known as Little Paris because like Paris, it has two rivers: the Rhone and Saone, which converge at the southern part of the old city. Because of this, Lyon is also full of interesting bridges that connect the peninsula to the mainland. 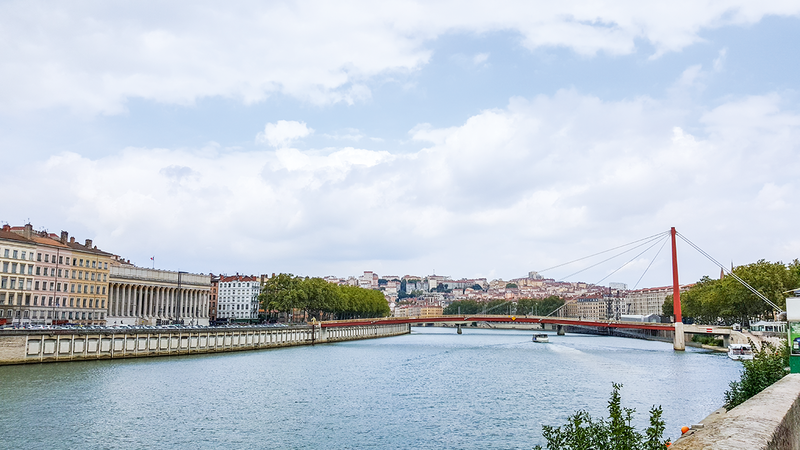 Just like in Paris, Lyon offers river cruises for visitors to enjoy the beautiful Lyonnaise landscapes. The resemblance of La Tour Metallique de Fourviere to the Eiffel Tower is one more reason why it is known as Little Paris. Although, Lyon natives will tell you that the Eiffel Tower actually resembles La Tour Metallique because it predates the Paris iconic tower by 3 years. 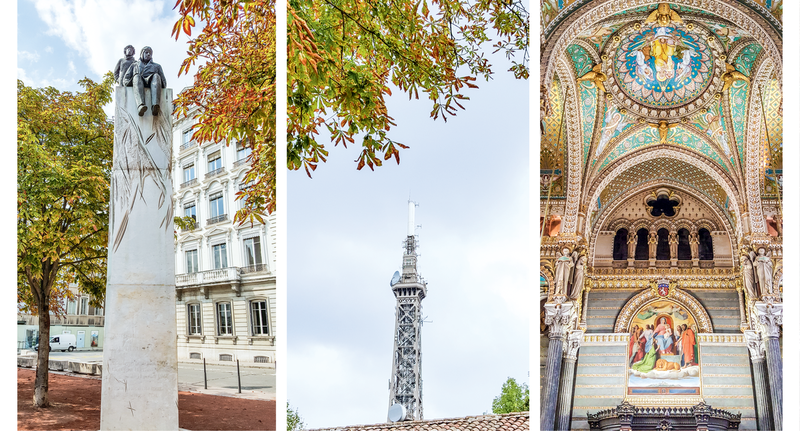 Lyon is a must destination for food lovers. 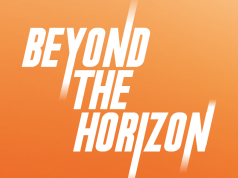 The food everywhere in Lyon is truly outstanding —not only does it offer great gourmet food by some of the best chefs in the world, the traditional Lyonnaise restaurants, which are usually family operated for generations serve extraordinarily delicious fare. And then there’s Bernachon Chocolates: considered by chocolate connoisseurs as the best in the world, it is one more reason to visit Lyon if you are a chocolate aficionado, in particular. The author of the classic “The Little Prince,” Antoine de Saint-Exupery, was born in Lyon at the turn of the 20th Century. He is one of Lyon’s local heroes, not only because he wrote “The Little Prince” but because he served his country as a pilot during World War II. For Saint-Exupery fans, looking for his statue with “The Little Prince” can be a fun challenge as the monument is tucked away on a small street island just across the southwest end of Place Bellecour. In thanksgiving the townspeople have since then held a procession and lighted candles in the name of Mary every December 8, the Feast of the Immaculate Conception. The Festival of Lights itself started in the 19th century for the inauguration of the Basilica of Notre Dame de Fourviere and its Golden Virgin when the townspeople placed lighted candles in all their windows and fired flares into the sky. Today, the tradition of lighted candles still continues and the Basilica is beautifully lit up with amazing effects each night of the festival, but the festival has expanded throughout the city, with many of the buildings beautifully lighted and many organized events. The festival now attracts more than three million visitors each year.